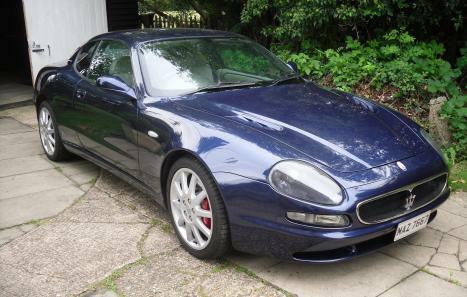 Deep Moon- glitter blue Metalic , full Cream leather interior blue piping with e/memory settings , 3.2 litre V8 twin turbo engine - 3217cc - 370 bhp, Automatic gearbox, 2000 model year, with Air conditioning, 'Skyhook' suspension option, ABS Maserati (Anti - Lock Brakes),Traction control- Stainless Steel exhaust - which sounds superb. Electric windows, Becker CD +6 Autochanger and Sat Nav,phone kit - Power folding door mirrors, RAC Trackstar Tracker installed with certificate. Black Key, Red Master Key and Electronics key available. 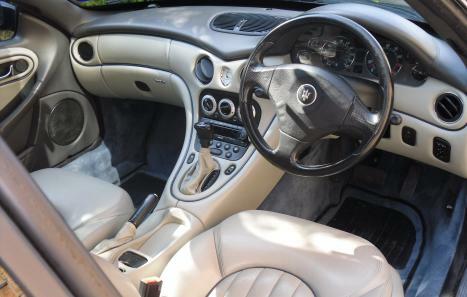 Driver and passenger airbags, ASR traction control, Sports mode, Full electric motion front driver and passenger seats, Central locking, Alarm/immobiliser, Power Steering (PAS), Adjustable steering wheel and beautiful Recently Refurbished 10 Spoke Wheels + excellent tyres. 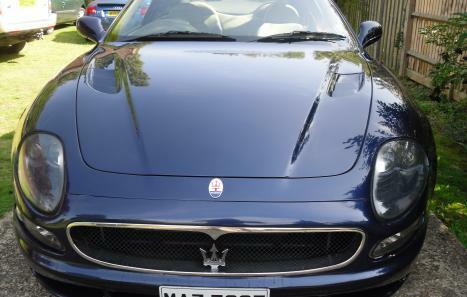 Recent 82k Major service carried out at Grimaldi – The Italian Sports Car Specialists. In addition to normal 82k Service items Brand new Front and Rear Discs + Pads were all renewed as well as a New Handbrake shoe kit and new associated handbrake cable. Also installed where New steering rack gaiters N/S + O/S and Brake Air Duct Pipes. The Air Conditioning System was also serviced and re-gased. Grimaldi have confirmed a Sistema Diagnostic check which confirms no errors present. This car has done approximately 300 miles since its 82k service on the 21 July 2011. 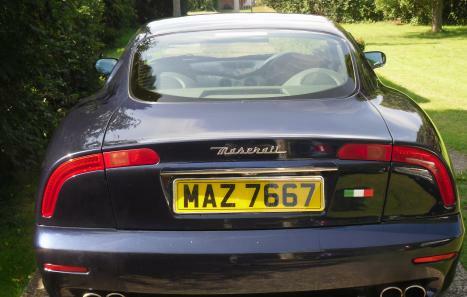 The vehicle was first registered on 23 May 2000 and is a 2000 model year. The vehicle has all the documents, such as the service book, owners handbook and vehicle registration document and its full workshop manual in English, complete with diagrams and pull outs etc. Both keys are present, the Black key and the Red master key, also the code card. 82295 miles Grimaldi Engineering Italian Sports Car Specialists. Details of additional items details above. RAC Trackstar Tracker installed with certificate.